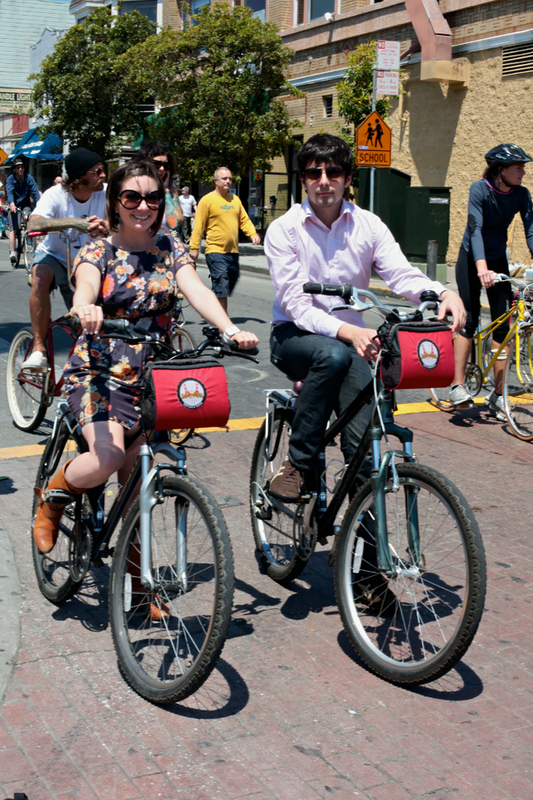 Looking cute on rental bikes during Sunday Streets in the Mission. I love that our dear friend Julia is right below us in your blog. We were actually there in the Panhandle on Bay to Breakers when she was wearing her adorable vintage dress. Two of our other friends are shown below her. Haha!